As summer arrives in Northern California, many people are getting ready to hit the water. We are lucky to have such a wide range of options for water recreation in our area including the ocean, lakes, and swimming pools. 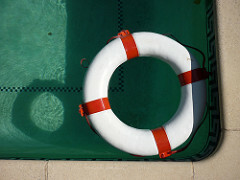 Most people are aware that there is always a risk of drowning, even in fairly shallow waters. Our San Francisco recreational injury lawyer wants to make sure that people are also aware of a lesser known type of drowning, electric shock drowning. In recent weeks, there have been multiple news stories about electric shock drowning. On May 31, AOL reported on a teenage girl who died in a suspected electric shock drowning incident this spring. The girl’s father says she and her friends were swimming in a lake when he lowered a metal ladder into the water to provide them a way to climb back out. He soon saw that the girls were in distress and when he tried to enter the water himself he felt a strong electric current. His wife shut off power to the boat dock. Everyone except for the daughter made it out. Authorities suspect she died of electric shock drowning. Electric shock drowning is also suspected in an incident in New Jersey that left a man in critical condition. The San Francisco Chronicle reports that a 34-year-old man was spotted face down in a pool at a motel on the Jersey shore over the Memorial Day weekend. A teenage boy attempted to save the man and told reporters that his body tensed and began shaking as soon as he entered the water. A maintenance worker was able to cut the power and pulled the man out of the pool. As of the time of the report, the man was in critical condition at a Philadelphia hospital. The motel’s owner says a faulty lamp post may have been the culprit. What is Electric Shock Drowning and How Can it be Prevented? The Electric Shock Drowning Prevention Association (“ESDPA”) is a 501(c)(3) organization dedicated to educating the public about the dangers of electric shock drowning (“ESD”). In a downloadable brochure, the group explains that ESD occurs when the victim is paralyzed by electrical currents in the water. ESD is the result of electricity leaking into a freshwater body (Note: Freshwater conducts electricity better than saltwater. While the ESDPA focuses on lakes and marinas, ESD has also occurred in pools as in the New Jersey case above). Often, the problem stems from a dock or a boat with faulty electrical equipment. It only takes 10 milliamps to cause paralysis or drowning, an amount that is about 1/50th of the current needed to power a 60-watt light bulb. Sixty milliamps can cause heart failure. Do not swim near docks or boats powered by electricity. Obey safety codes and standards for electricity on docks, marinas, and boats. This includes installing ground fault protection and regularly inspecting all equipment. Spread the word about ESD. If you witness a suspected ESD, turn off the power immediately and try to move the person away from the source of the electricity. Do not jump in or you may become another victim. If you feel an electrical tingle while swimming, warn others, quickly move away, and have someone turn off the power immediately. Our thoughts go out to the families recently affected by electrical shock drowning. We work with families confronting grief and dealing with tragic injuries on a daily basis. We know moving forward is fraught with difficult emotions and, often, a financial toll as well. If you suspect that ESD harmed you or someone you love in the Northern California region, please contact our San Francisco drowning lawyer. You may be entitled to compensation if someone else’s negligence (e.g., the manufacturer of a faulty electrical system or a negligent boat owner) created the danger.